For the year-long 13in13 Project, five very special shows were produced, each so different from the next that it's hard to believe they were part of the same series. 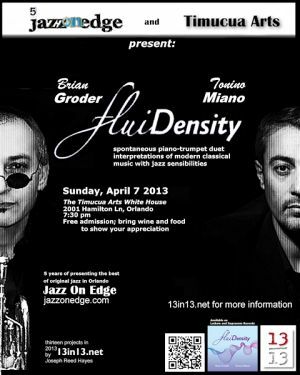 First up: three appearances to launch the release of FluiDENSITY by Jazz On Edge regular Brian Groder, with pianist Tonino Miano. Brian and Tonino led a workshop at the UCF Jazz Studies program, then took their students out to perform at Taste in College Park. 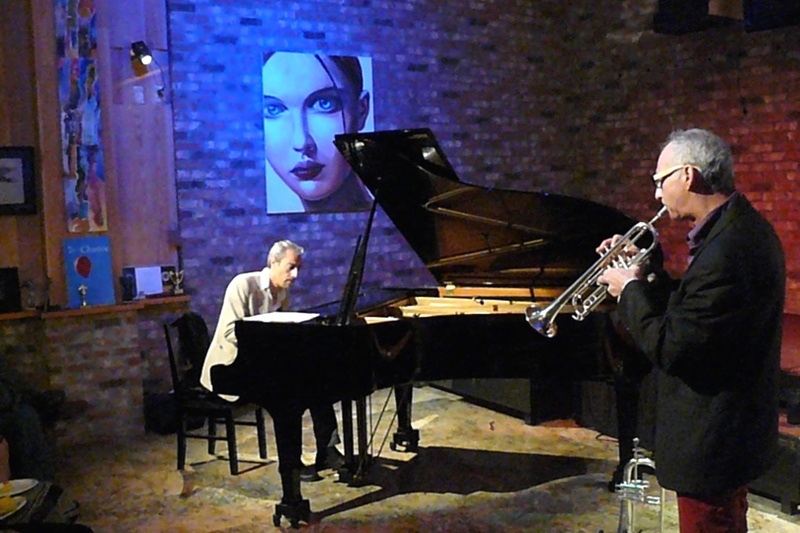 Two days later they debuted at the prestigious Timucua White House to a standing-room-only audience, where they persuaded Timucua owner Benoit Glazer to join them on trumpet. 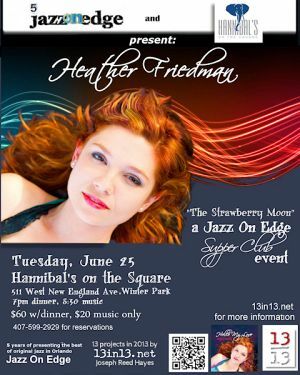 Jazz On Edge then took over Hannibal's Lounge in Winter Park for sold-out dinner show with vocalist Heather Friedman. 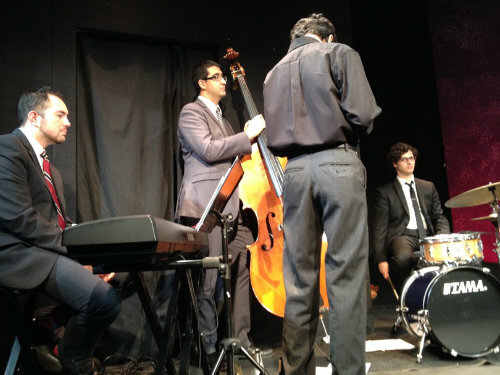 Finally, nu-jazz quartet La Lucha became the live band onstage for a performance of Joseph Reed Hayes' play, Solos, at the Orlando Shakespeare Theater. Jazz is one of those things that's hard to define. The legendary Louis Armstrong took a shot at it, famously saying that if you had to ask what it was, "you'll never know." Not too much help there, Satch! "Jazz On Edge" is a concert series that is the brainchild of Orlando freelance writer, promoter and musician Joseph Hayes, who put together the inaugural show in 2008 at Taste in College Park. The follow-up is moving on Saturday to the larger Garden Theatre in the emerging business center in downtown Winter Garden. 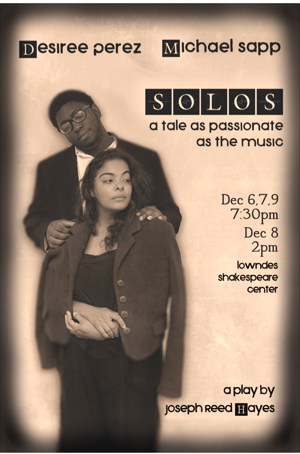 The theater will accommodate a bigger audience and also offer a setting that is conducive to listening, although Hayes is incorporating some potential audience participation in a "jazz loft" jam session that will close the evening. He's calling the show "International Flavors and the Sound of Sax," and the headliners are designed for jazz fans who appreciate challenging music that leans on skilled musicians equipped to solo. The latter quality is at the heart of Hayes' own definition of jazz: "The image of jazz is either of someone being in a concert to sit down and watch it, or of someone playing it as background music in some restaurant," Hayes says. "Rather than it being an act of creation in front of you, which is really the definition of jazz, isn't it?" The headliners at Saturday's show are well equipped for improvisation: Pianist Edward Simon, who will be playing with his trio, is fresh from two nights earlier this week at The Jazz Standard in New York. A sideman for the likes of trumpeter Terence Blanchard, Simon and his work have twice been honored as one of the Ten Jazz Records of the Year by The New York Times, for Edward Simon (1995) and Simplicitas (2008). Simon's penchant for Latin and Caribbean music is exemplified in compositions such as 2005's Venezuelan Suite, which melds jazz, chamber music and Venezuelan folk music. His performance in Orlando actually will be a homecoming, of sorts, since he lives in Orange City. Who knew? "He's been so supportive and, frankly, he wanted an opportunity to play locally," Hayes says. "There aren't many venues in town that will focus on original music, rather than covers of the same five standards while people are eating shrimp scampi." Also on the bill is the Tiptons Saxophone Quartet, an ensemble of four saxophones and drums that combines New Orleans' Second Line style with Balkan and gypsy influences, Bebop and Swing. The Tiptons set will be followed by a short intermission, in which tables will be moved on to the stage to create a "jazz loft" atmosphere for the closing third-set jam session led by New York trumpeter Brian Groder. "The things we're trying to accomplish with this series is, first, to have musicians play their own music," Hayes says. "Second, we want to expose people to the astounding variety of music that is still classified as jazz. "Everything is listenable and rhythmic and from the heart," he says. "I don't think there will be a lot of real 'out-there' stuff until we get to the jam, and then all bets are off." Besides, when it comes to the music, Hayes isn't hung-up on definitions. "When someone says they don't really like jazz, it's like saying they don't really like reading. It doesn't really say anything because there's so much of it."